Judy Ames Stephens is a full-time Realtor, and owns Starstruck Music Productions. With her husband Bill, now deceased, they were a success in Keller Williams Realty. From her home town in Chicago, she was a Music and Theater major at UC Berkeley. During 20 years spent traveling and working in Europe and the Far East, Judy performed in musicals and bands, sold art work, taught music, returning to live in San Diego, CA. Deeply involved in self-development, Judy was active in EST, 12 Step Programs, Eastern philosophy and rebirthing techniques. From Toastmasters and the National Speaker's Association, she delivered workshops and seminars. After many amazing years with Bill in Real Estate, the grief of his passing motivated her to continue her search for further transformation through New Peaks Training. 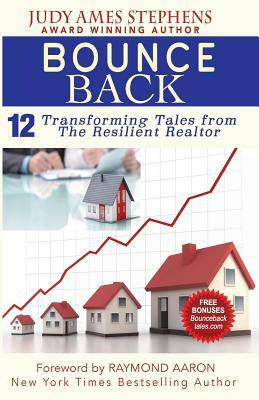 Gaining new perspective and hope has inspired Judy to write "Bounce Back" with a strong authentic desire to make a difference in the lives of others, giving meaning to her own and to her beloved Bill.